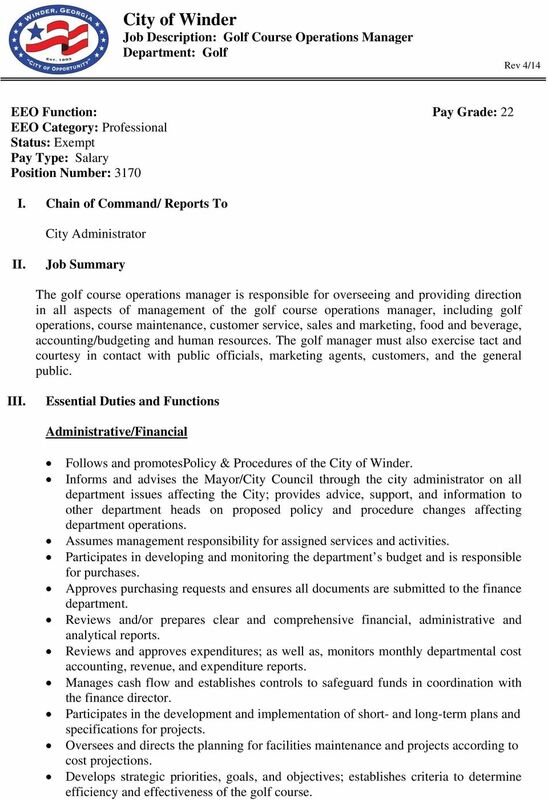 Download "City of Winder Job Description: Golf Course Operations Manager Department: Golf Rev 4/14"
1 Job Description: Department: Golf Rev 4/14 EEO Function: Pay Grade: 22 EEO Category: Professional Status: Exempt Pay Type: Salary Position Number: 3170 I. Chain of Command/ Reports To City Administrator II. 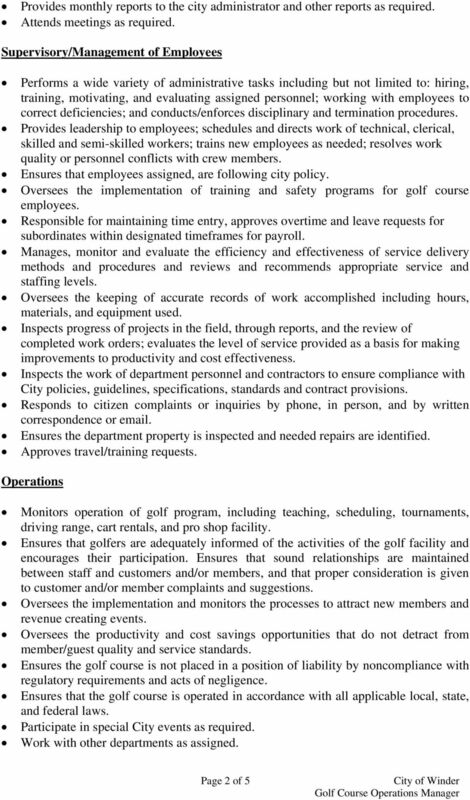 Job Summary The golf course operations manager is responsible for overseeing and providing direction in all aspects of management of the golf course operations manager, including golf operations, course maintenance, customer service, sales and marketing, food and beverage, accounting/budgeting and human resources. The golf manager must also exercise tact and courtesy in contact with public officials, marketing agents, customers, and the general public. III. 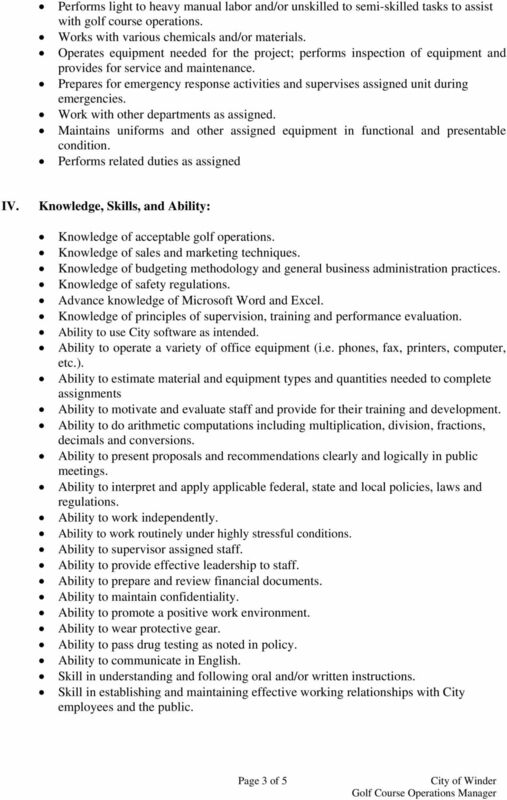 Essential Duties and Functions Administrative/Financial Follows and promotespolicy & Procedures of the. Informs and advises the Mayor/City Council through the city administrator on all department issues affecting the City; provides advice, support, and information to other department heads on proposed policy and procedure changes affecting department operations. 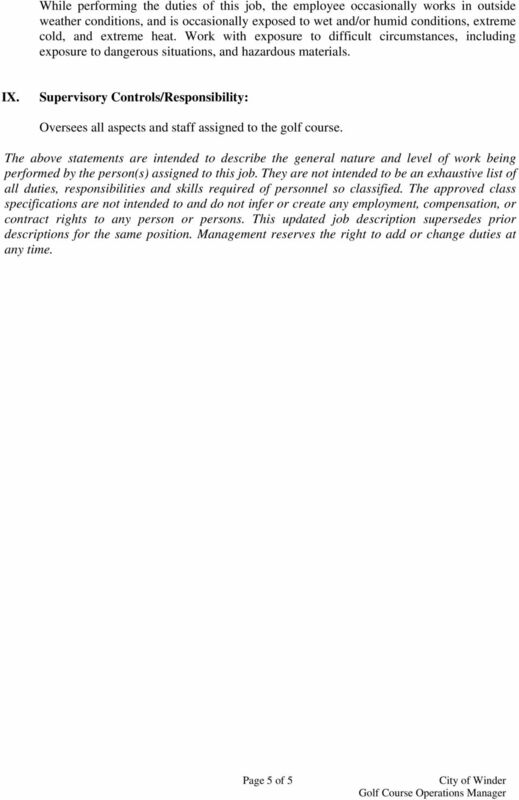 Assumes management responsibility for assigned services and activities. Participates in developing and monitoring the department s budget and is responsible for purchases. Approves purchasing requests and ensures all documents are submitted to the finance department. Reviews and/or prepares clear and comprehensive financial, administrative and analytical reports. Reviews and approves expenditures; as well as, monitors monthly departmental cost accounting, revenue, and expenditure reports. Manages cash flow and establishes controls to safeguard funds in coordination with the finance director. Participates in the development and implementation of short- and long-term plans and specifications for projects. 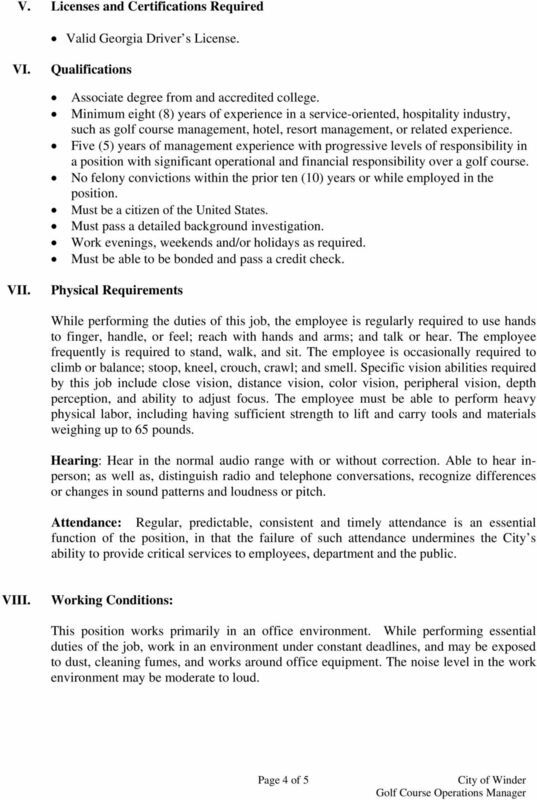 Oversees and directs the planning for facilities maintenance and projects according to cost projections. Develops strategic priorities, goals, and objectives; establishes criteria to determine efficiency and effectiveness of the golf course.